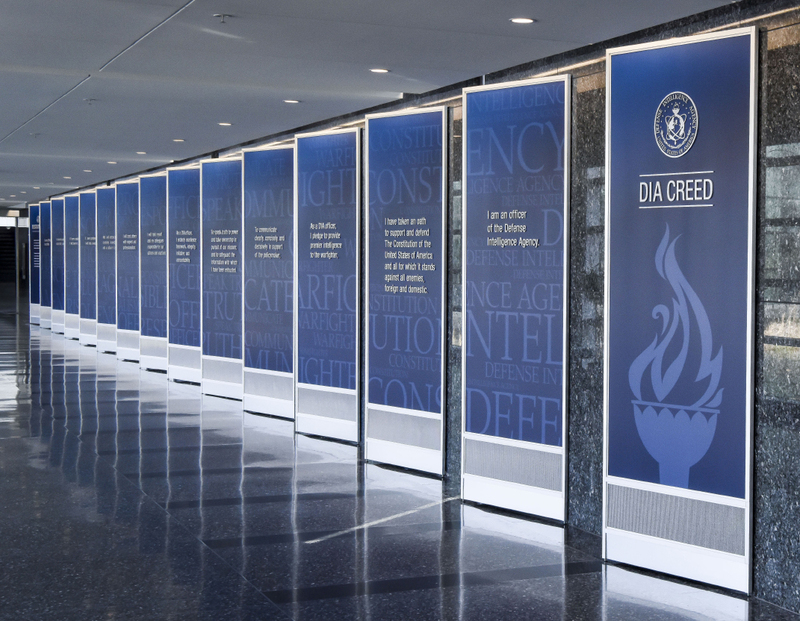 A series of panels featuring the DIA creed lines the building’s entry corridor. 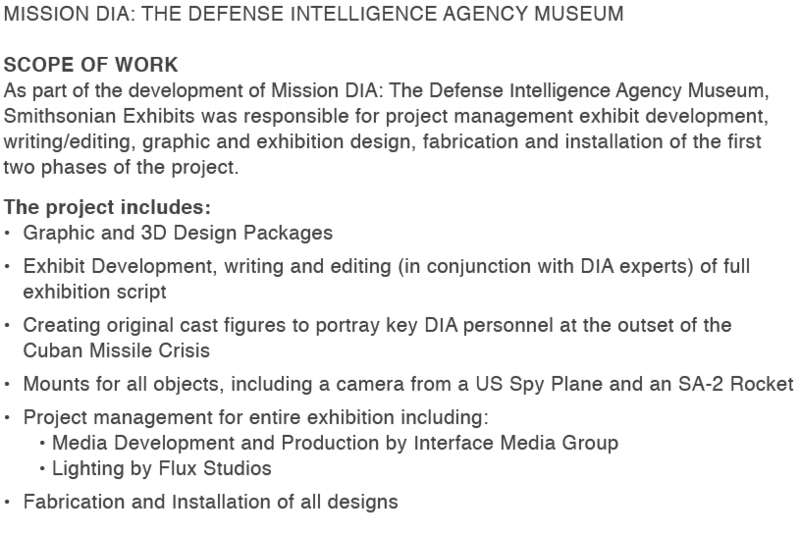 The cameras in U2 spy planes held approximately two miles of film. 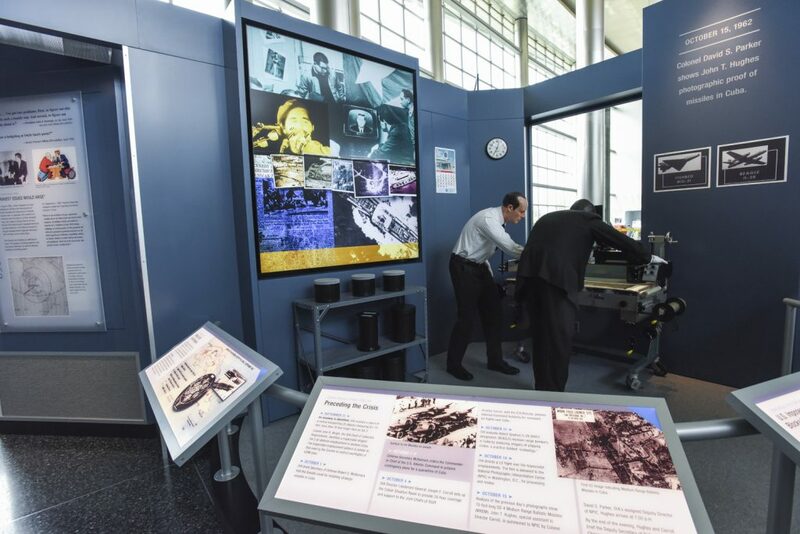 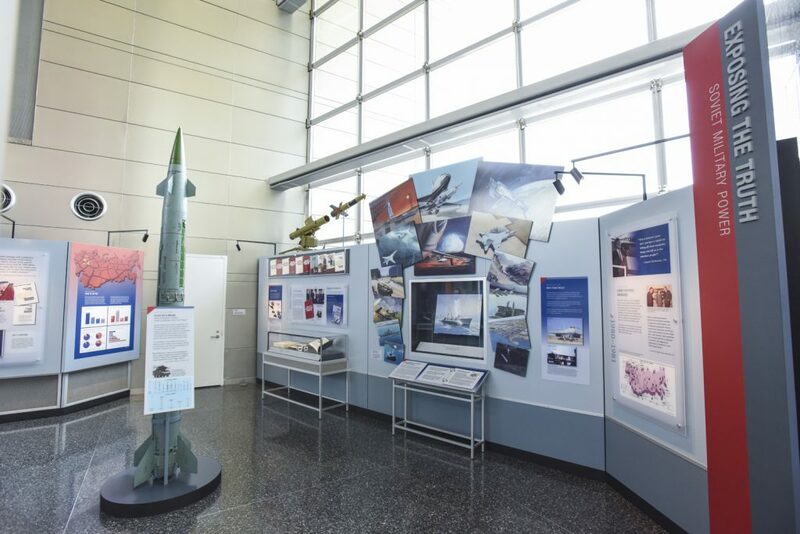 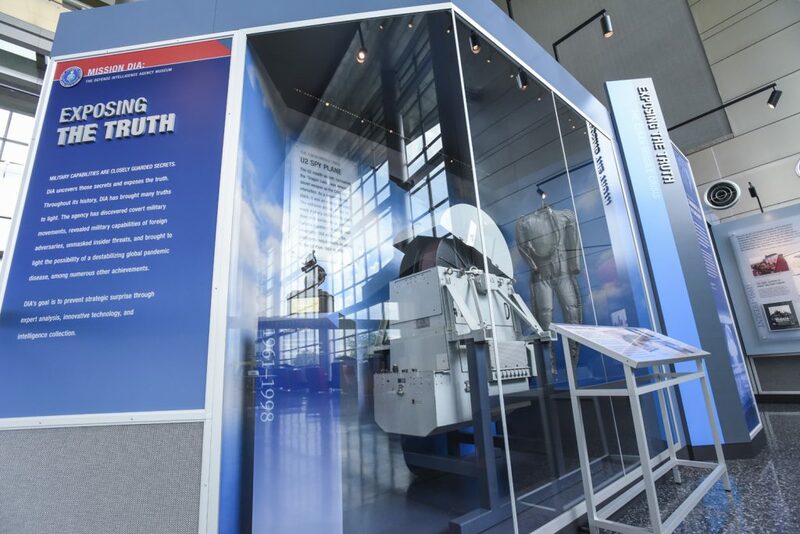 Smithsonian Exhibits created a display with cast figures to show the moment DIA discovered missiles in Cuba. 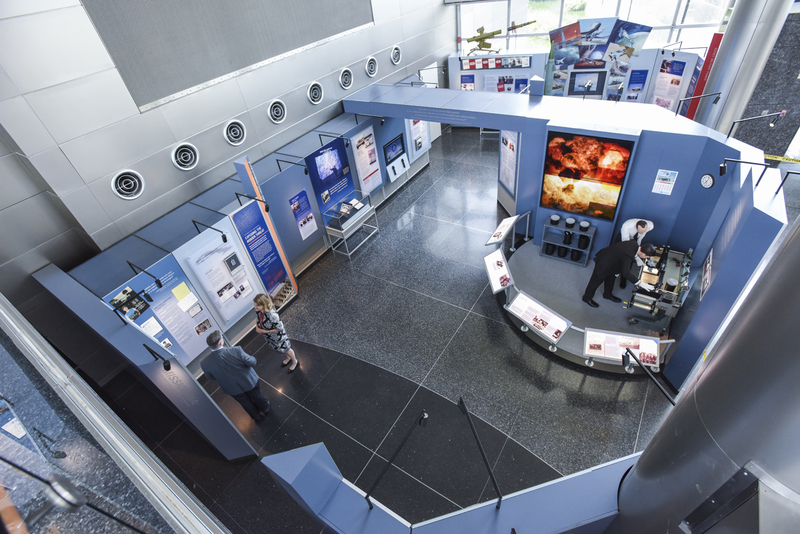 A video display loops images of the era to emphasize the growing fear of nuclear war. 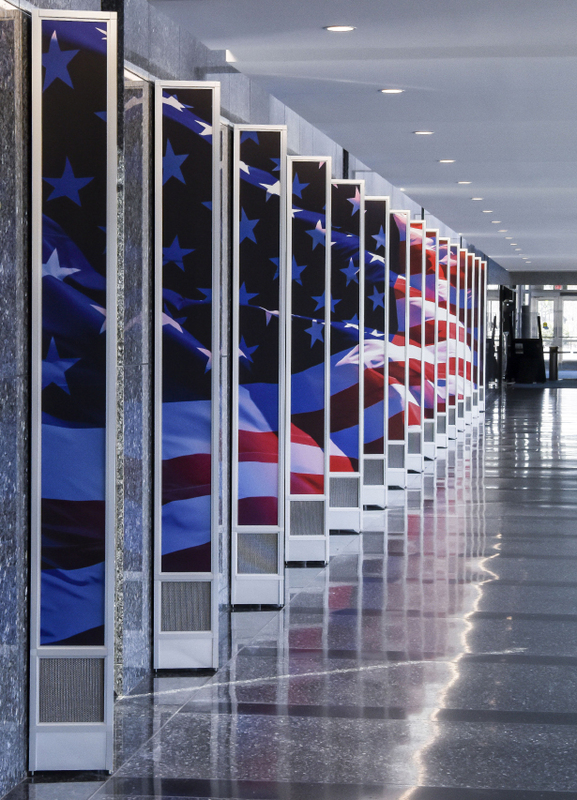 As people leave the building, the reverse of the creed panels reveals a waving American flag.